They will be reviewed shortly and my comments will be added in my main J Series post available here. I the meantime I just wanted to share some pictures, this is to give you a little idea of their size and shape and maybe you are wondering how they compare to each other. They have been washed only once since I got them yesterday and I haven’t used them yet. It’s a bit too early to give you my first impressions but at least you will see what they look like. 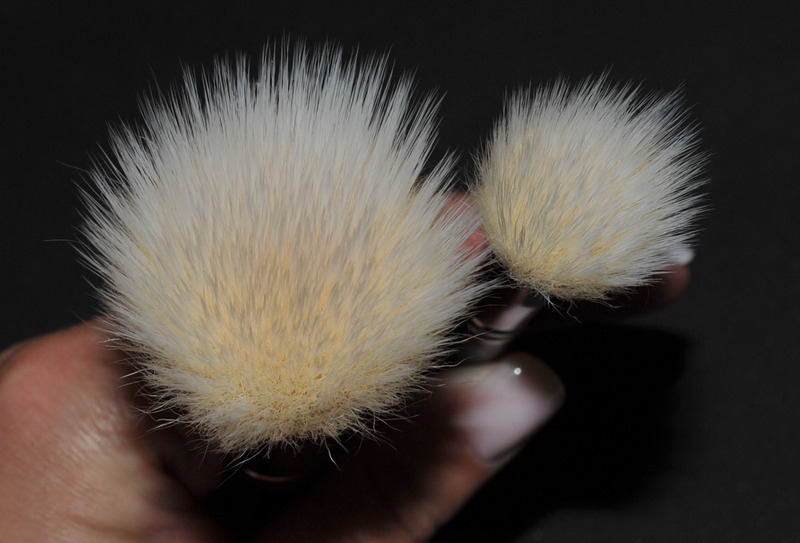 I will use these brushes for a few days and wash them a couple of times, then I will share my thoughts on them and add my comments on the main post. 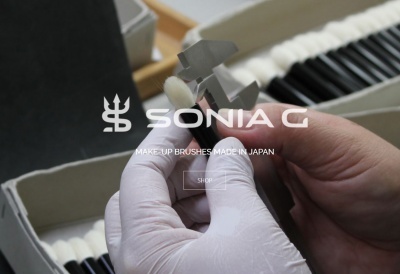 Hakuhodo J Series – J103, J125R, J4002, J5541, J7011 – First pics was last modified: September 24th, 2014 by Sonia G.
You are such a temptress, Sonia! 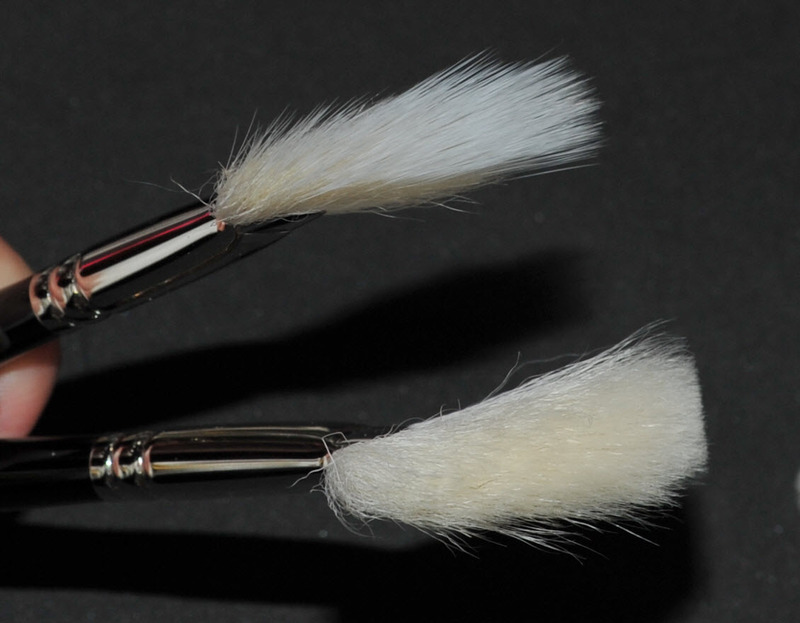 I shall wait for your Ultimate Favorite Brush List before I make my next purchase. I have the beauty blender, tried it only once or twice, but it was taking me too much time and I am not very patient in the morning. I haven’t found the best way to use it quickly and efficiently.. yet.. did you ? No I haven’t.. I am also experimenting it.. but there are so much raves about this little pink sponge.. I need to find a way to use it..
On another note, have you tried using Beauty Blender sponge for foundation application? I actually only picked up my beauty blender this morning for the first time in months – I also don’t have time and patience to use it in the mornings. I like it with cream foundations, but I tend to use it more on other people, particularly with older and drier skins. When my skin is particularly dry, I prefer the BB to a brush. 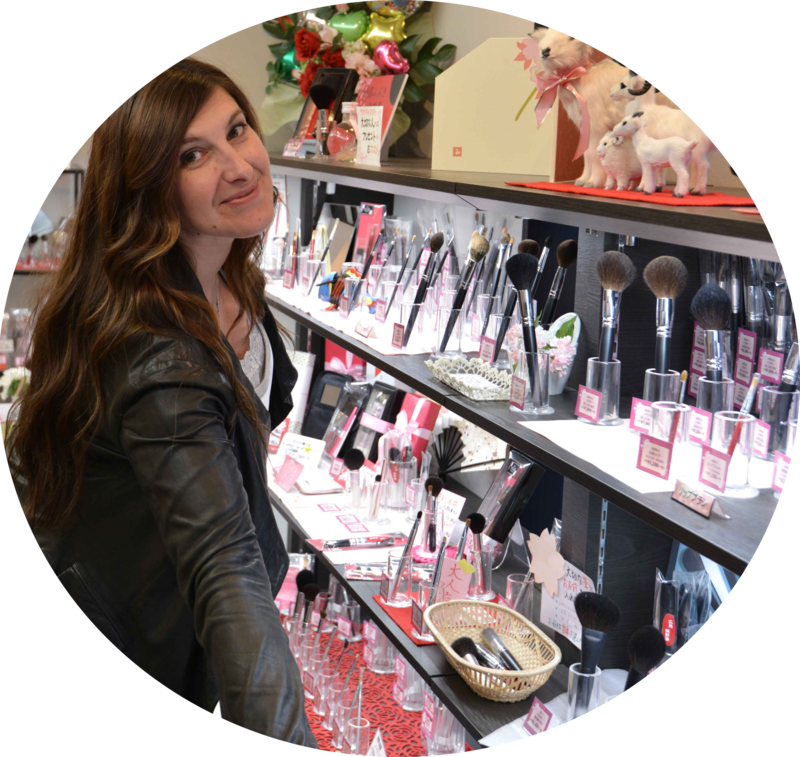 I think part of the reason I don’t use it that often is that I love the feel of a brush – it feels more luxurious than a little pink sponge! you’ll have the hole collection soon 🙂 The J501 is really tempting. 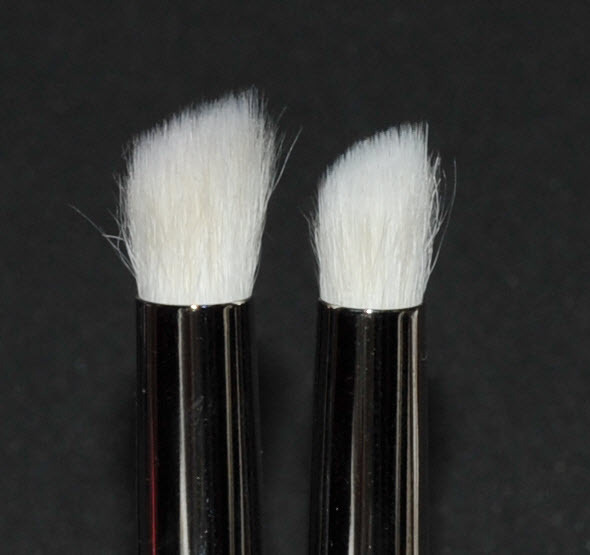 As for the shadow brushes they are HG for me, especially the J125R, it applies every shadow like dream, blends, crease. It is the only eyebrush I took with me on my holiday and even used it before applying shadow with my BB concealer. By the way, I find the J501 so much softer than the J5541. The J125R and 122 are amongst my favorites too ! 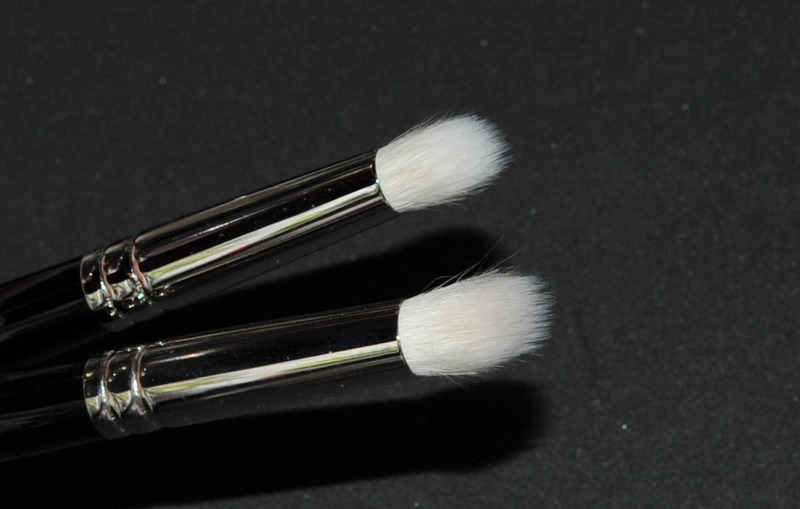 I plan to buy two of these, where I would order the J125R for my teenage daughter who covers blemishes with concealer and could use a better brush to blend it with, and then another one for eyeshadow for me. Would you recommend the J125R or the J122R for eyeshadow? 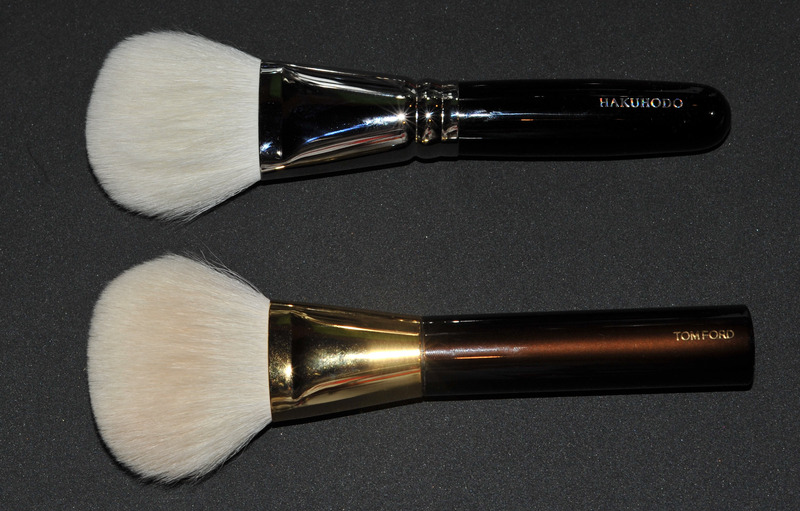 I’m compiling my Hakuhodo (and Chiku) list based on your blog. I’m going to need to save for a long time! Tomorrow I will finally upload my very top favorite brush post and it’s full of Chikuhodo and J Series… and a few other brands as well 😉 Since I have discovered these I had to change all my brush favorites. 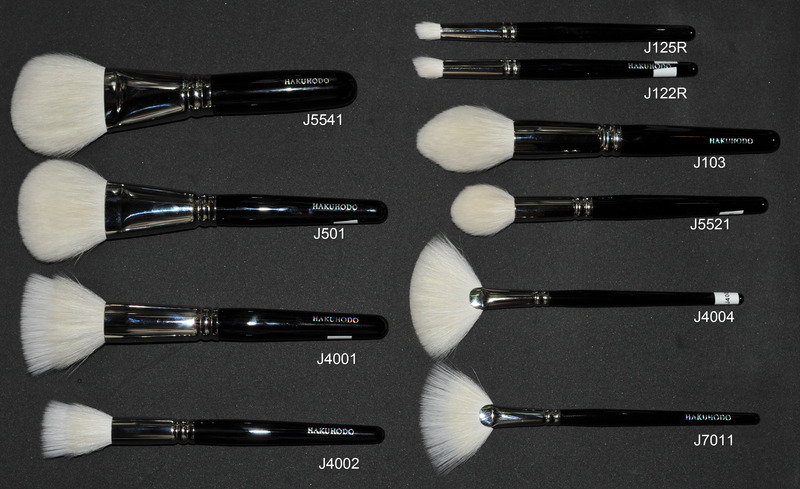 Does the J4001 brush absorb much product? What do you use it with? Highlighters like Guerlain Meteorites, Estee Lauder Shimmering Sands, etc any product that has a creamy finish – bronzer or highlighter – that you don’t want a heavy coverage. In terms of foundation, I use it with Mac Mineralize cream foundation when I want a light coverage (no makeup look), which is quite often actually. 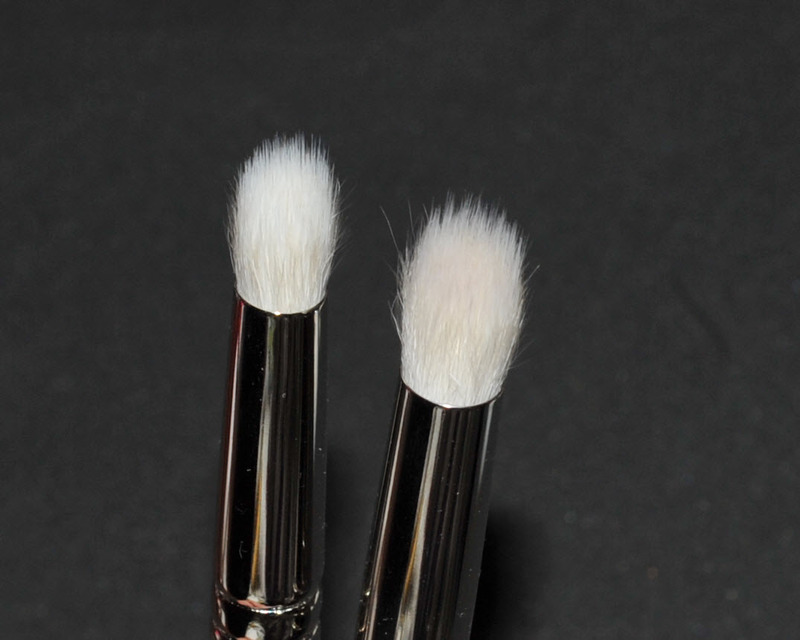 It does not absorb too much product at all, this cream foundation is thick and stays on the tip of the brush, I don’t use it with liquid foundations since I have others that I like more for that. 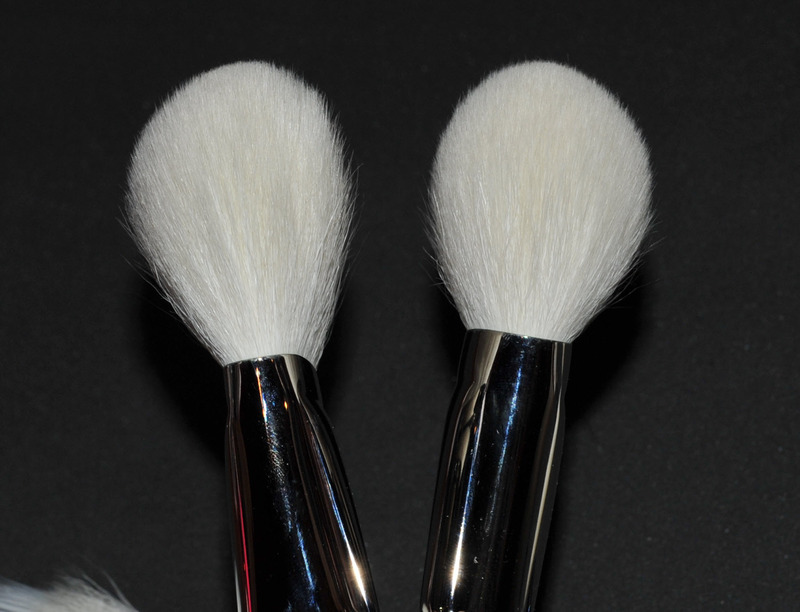 You could also use this brush with sparkly powder products or very pigmented blushes, I don’t, but it is supposed to work well with that. Thank you so much 🙂 I’ve heard it was a really soft stippling brush and had my eye on it for a while but I was still concerned about how it would perform. It seems to be a multi tasker, thanks for the reply! you are right, that’s why I got crazy !!! 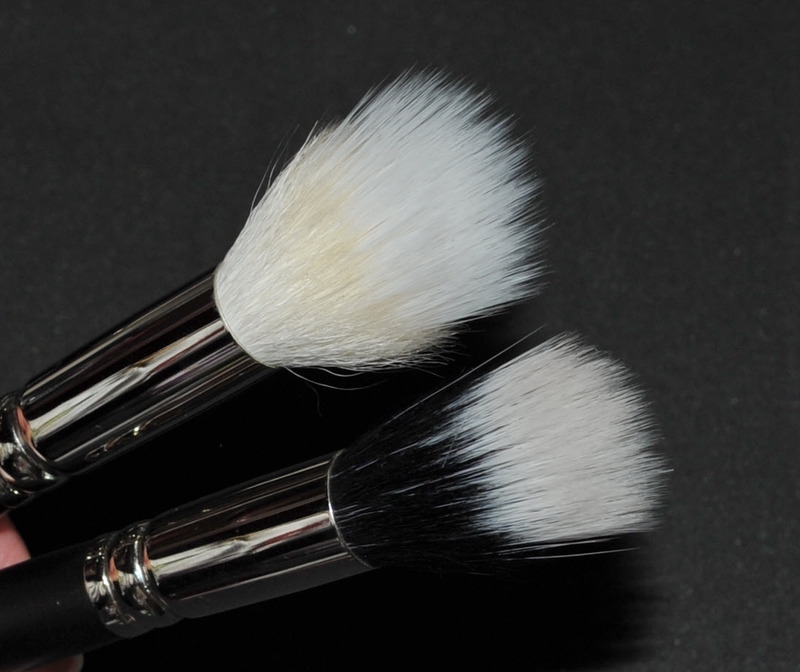 May I know what is your favourite brush to use with liquid foundations? my fav is the Rae Morris radiance brush because I feel it’s more important the finish of the application than the application itself and this Rae Morris allows me to deliver a very flawless finish of liquid foundation. 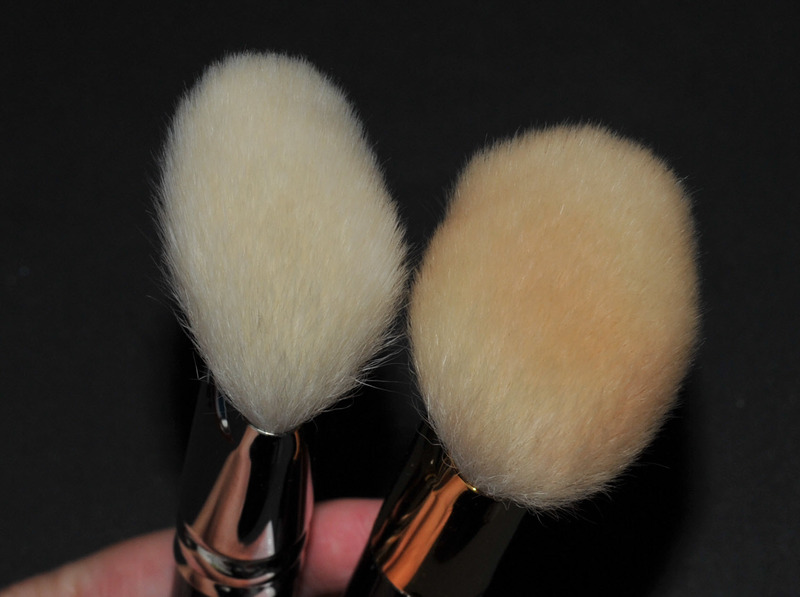 If you don’t mind waiting a few days I’ll have a fun post on selecting make up brushes, and I am featuring foundation ones so this may help you. Thank you so much Sonia :). 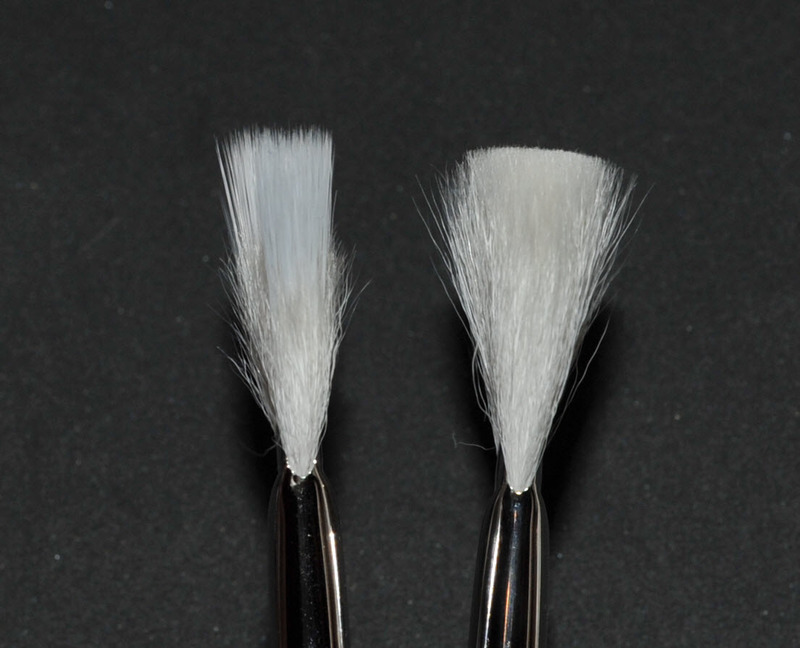 I will look out for your upcoming post on brush selection. I have been a silent reader for some time and your site has been my go-to site on brushes and I just want to thank you for all your time, passion and dedication in putting together all your wonderful and informative posts, especially on brushes… I especially loved your post on “Enjoying Japan” and am so glad you had such a lovely time there immersing yourself in the culture and place. Have a great time in Spain! I couldn’t agree more Sonia! 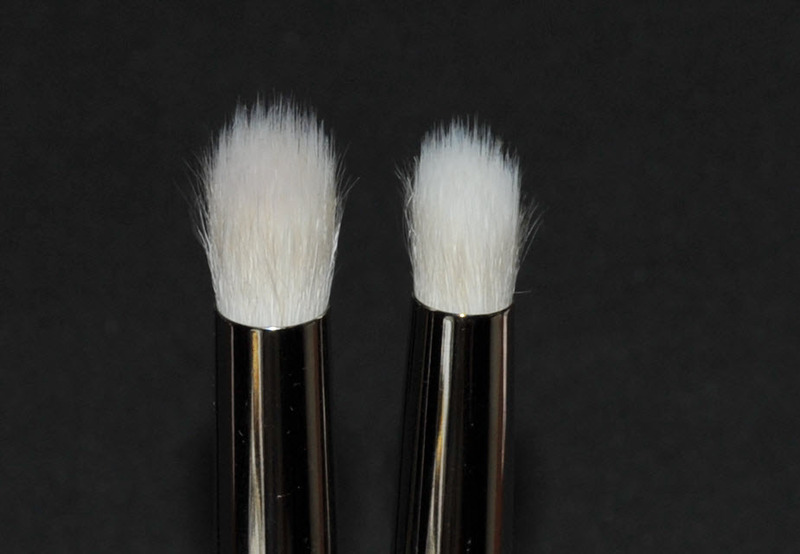 We all share the same passion about beautiful and amazing brushes :). Ever since I discovered your site I have been logging on every day to read all your wonderful posts. It’s thoroughly addictive! Okay I’m way late to the party so I may not get a response but I am between the J5541 and J501 for pressing on loose setting powder. I know the former is a bit larger than the latter, although they both seem to be a good size – which would you recommend?